Success! 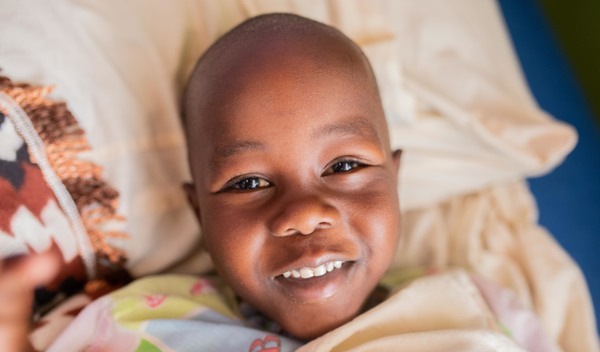 Meshack from Kenya raised $1,224 to fund clubfoot correction. Meshack's treatment was fully funded on November 5, 2018. Surgery was successful. After a full recovery, he will be able to walk comfortably. 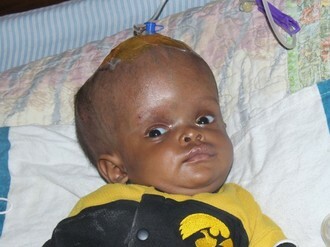 Meshack is a baby from Kenya. He is a very energetic child who likes playing. Meshack is the youngest in a family of two children. Meshack has clubfoot of both his feet. Clubfoot is a condition in which the foot is twisted out of shape. This causes difficulty walking and even wearing shoes. Fortunately, Meshack traveled to visit our medical partner’s care center, AIC Cure International Hospital. There, surgeons will perform clubfoot repair surgery on October 3. Our medical partner, African Mission Healthcare Foundation, is requesting $1,224 to fund Meshack’s clubfoot repair. After treatment, he will be able to walk easily. “I will greatly appreciate any help aimed at making my son walk well,” Meshack’s mother says. Meshack's case was submitted by Joan Kadagaya at African Mission Healthcare Foundation in Kenya. Meshack was submitted by Joan Kadagaya, Curative Medical Support Program-Partner Representative at African Mission Healthcare Foundation, our medical partner in Kenya. Meshack's profile was published to start raising funds. Meshack received treatment at AIC Cure International Hospital. Medical partners often provide care to patients accepted by Watsi before those patients are fully funded, operating under the guarantee that the cost of care will be paid for by donors. Meshack's treatment was successful. Read the update. Meshack's treatment was fully funded.